TMNT, Street Fighter and Attack on Titan getting the board game treatment! Freaks, geeks and one hell of a week — The SDCC Report. For as long as I can remember, I’ve always had a trip to San Diego Comic Con on my geektastic bucket list. It’s just one of those places you kind of need to go – like a geeky nirvana full of untold treasures and wonders that you can’t really experience anywhere else on Earth. I mean, don’t get me wrong, I’ve been to conventions before and had a great time, but nothing else on this planet will ever prepare you for the experience that is SDCC. I always knew it was big, it ‘s full of several thousand people, it’s hardly a small affair, but I think it’s one of those places that you can’t really appreciate the scale of until you set foot inside. It’s more than just a convention center, but rather a way of life as for the best part of a week, the entire Gaslamp District finds itself utterly consumed by some of the most undeniably geektastic shenanigans you could ever dream of. It’s funny how quickly time goes by when you’re surrounded by such like minded people and I really do want to hammer home the community spirit that I found at SDCC. There was no elitism, no lines of division or derision, just easy going, laid back mischief. I’ve made some lasting friendship simply by embracing the joy of queuing and I found out some great snippets about what make other geeks tick and from certain convention veterans where to check out and what to do while waiting for signings or panels to take place. 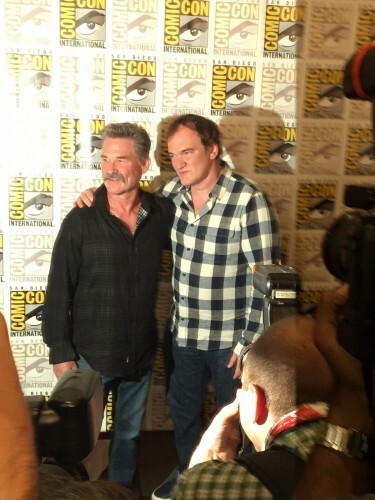 Quentin Tarantino & Kurt Russell promoting new feature The Hateful Eight. Granted, I did only begin to scrape the surface and I would sell my right arm right about now for possession of a time turner to go back and manage to be in ten places at once and experience everything – but even the small number of things I did manage to get up to, were well worth the 16 hour excruciatingly long flight merely to cross it off my list! So what did I get up to? Unlike a great deal of my fellow con goers, I didn’t actually brave Hall H for the plethora of panels on some of the cinematic hard-hitters this year. But as you’ve already sussed, the likes of Deadpool, Suicide Squad, X-men and Crimson Peak have been fairly widely well documented without me chiming in like a broken record! Instead I opted for the lesser known side of Comic Con, the snippets of amazing secrecy tucked away neatly beneath the surface that don’t always get quite so much recognition. For starters, there was an Orphan Black meet-up that I have to say gave me chills. Clone Club represent! And the indomitable Mr.Wesley Snipes who I managed to chat to regarding his upcoming project The Player. There was also a sneaky trip to the Power Rangers lounge, which brought with it so much nostalgia and optimism for the latest incarnation of Rangers. It was a bit like being six years old again and staring wide eyed at the sheer volume of merchandise that I know I shouldn’t buy but secretly wanted to covet anyway! 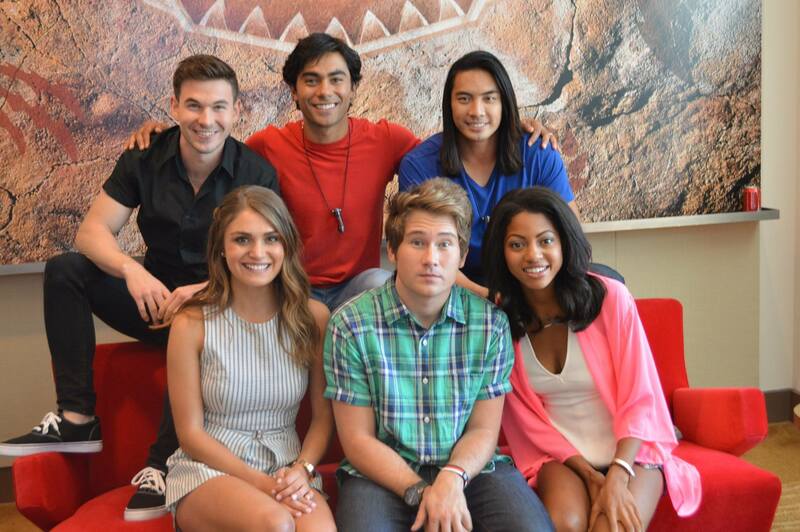 The latest incarnation of Power Rangers were out in force. And the cosplay! Oh! How I adored the cosplay. There’s something spectacularly awe inspiring about the sheer level of skill and commitment that goes into these artisan costumes and I can’t speak highly enough of just how nice the people are behind each outfit. I think it’s safe to say that the boys over at Sneaky Zebra managed to capture some of the best in their SDCC video, so I’d highly suggest checking that out if you want a taste of just how much variety there was this year. 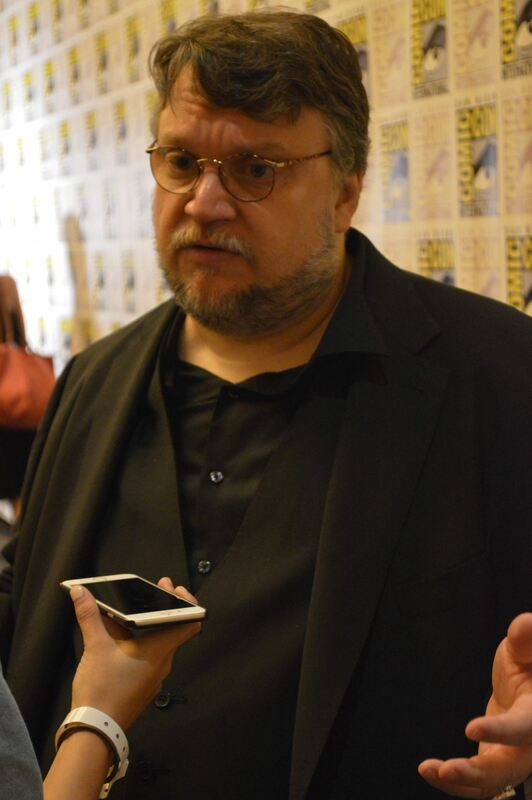 Beyond that, there were press lines for Crimson Peak and Pride & Prejudice and Zombies, a photocall for The Hateful Eight and just oodles of likeminded wonderful people that really did help to encapsulate the spirit of what comic con means. Granted, okay, I did also fangirl slightly more than I should about being on a press line next to Lizo Mzimba (Newsround, c’mon? Who didn’t love that show?!) but there’s something about the buzz of an SDCC press line that beats red carpets everywhere. After a hard day of journalistic work however (and yes, it is hard work rubbing shoulders with your idols and geeking out over comics!) it was time to retreat to somewhere for a little breathing room and what better place to check out than Syfy’s Expanse Café! Taking over the Hard Rock Café, it was a chance to experience some themed offerings and get a brilliant insight into what the new show has to offer. If none of this happened to float your boat however, there was also the Nerd HQ to fall back on and the Nerdist Conival to take the edge off a hard day of con-going. You can read more about these in Jason’s article here, for the badge-less comic fans amongst us! That said however, I have to give a big ol’ thumbs up to SDCC for bringing so much joy and uniqueness to this geek girl’s life. I have never been anywhere quite like it and I doubt I will ever find anything to top it – but we’ll just have to see if next year brings as much promise with it! SDCC returns 21st – 24th July 2016, hope to see you there! Geeky Journalist, self-confessed cinephile, fashion fanatic, beauty blogger, and ever-so-secret connoisseur of jellytots.